Graduated with distinction at the Faculty of Architecture of Zagreb University, Croatia, in 1987. He worked for a number of architecture firms before commencing further study in 1990 at the Berlage Institute in Amsterdam, where he gained his Master of Excellence in Architecture degree in 1992. Pero Puljiz then went on to work as a designer for de Architekten Cie. In 1995, together with Branimir Medić, he established the partnership Medić + Puljiz, with an alliance to Cie. After several years of collaboration with de Architekten Cie., they both joined the latter firm as partners in 1998. Cie.Croatia (Zagreb) was established in 2004, followed by Cie.Asia (Shanghai) in 2006. 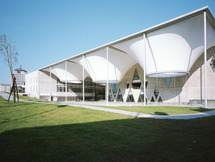 The realized works of Pero Puljiz cover all scales and types of buildings, from single-family houses to masterplanning. With office buildings such as Le Maire, Arnhem (2010), Menzis, Groningen (2006) or Acanthus, Amsterdam (2004) and residential buildings like New Amsterdam (2008) Pero Puljiz has left his mark on Dutch cities. Most recently, the iconic residential area Waterlandplein in the north of Amsterdam was inaugurated (2013). Abroad, large commissions such as the Bundek Centre in Zagreb, Croatia, and the Dadong Arts Centre of Kaohsiung, Taiwan, have successfully been completed (both in 2012). Currently, Puljiz is working on several commissions in Holland and abroad, among others masterplans for new urban developments in Moscow, such as Vlashika, Rubleskoye and MO City. Pero Puljiz won second prize in the 1995 Dutch Prix de Rome. 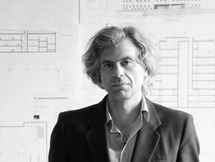 Together with Branimir Medić, he has won several prestigious first prizes, such as the competitions for the Cultural/Administrative Complex in Montreal, Canada (2003), extension of the Victoria Palace government building in Bucharest, Romania (2007) and the Quixing District Urban Planning Museum of Tianjin, China (2008), the Sea Terminal in Šibenik, Croatia (2009. Pero Puljiz has lectured at the Academies of Architecture in Amsterdam and Groningen, and has been a guest lecturer at the University of Zagreb and at the Berlage Institute. In 2008, he was the jury chairman for the Annual of Architecture in Bucharest, Romania. Since early 2009, he has been a member of the Dutch Green Building Council.